~ by fultonm2010 on January 6, 2011. I really enjoy the vibrant colors in this abstract creation by Kadinsky. I like the quote which compares color to a keyboard. This painting does have a musical flow to it. Despite the apparent war theme it is calming. I keep looking at it over and over again to see more… to see what is hidden on my first encounter. 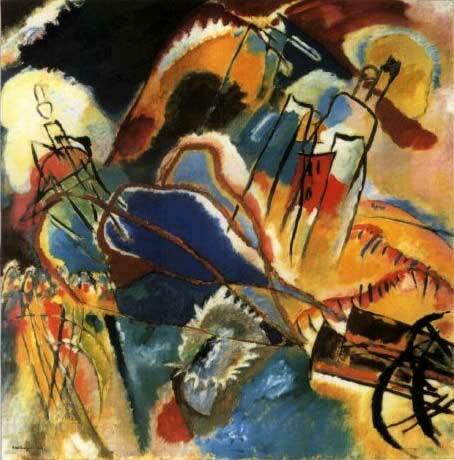 Thank you for sharing this expressive Kadinsky painting.